My husband loves to use his smoker. Over the past 8 years he has gone through 3 smaller, less expensive smokers. Finally, two years ago, he decided to invest in a really good smoker which he has been very happy with. The day it was delivered I was home alone, and when the UPS guy took if off the truck, I thought for sure my husband had decided to plan for his funeral and order a large stainless steel casket. The thing is taller than me (which is not saying much since I’m barely 5′ tall myself). The fact that we live in the Northeast and are dealing with temperatures in the low teens does not deter him from getting out there and smoking up some form of meat. It doesn’t stop us from using our BBQ all winter long either. I’m sure our neighbors probably think we are crazy, but so what! At least we are eating good! He had a craving for some pork ribs the other day so he picked up a rack of them. 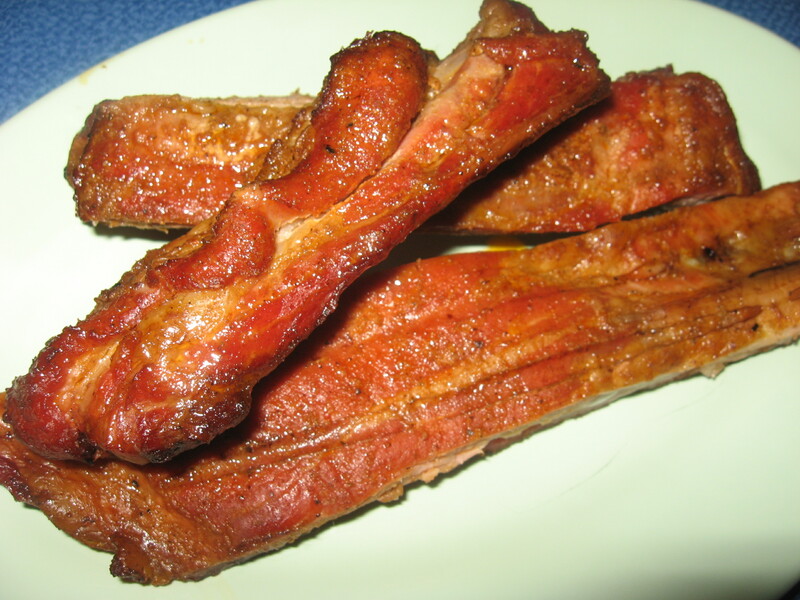 These are spare ribs, not to be confused with baby back ribs. They didn’t have those, so we made do with these. There is truly no set recipe for this Rib Rub. I could give you measurements, but they would be off depending on the size of the ribs you are using and how you decide to prepare them. So instead, I’ll tell you what we used and you can go from there. 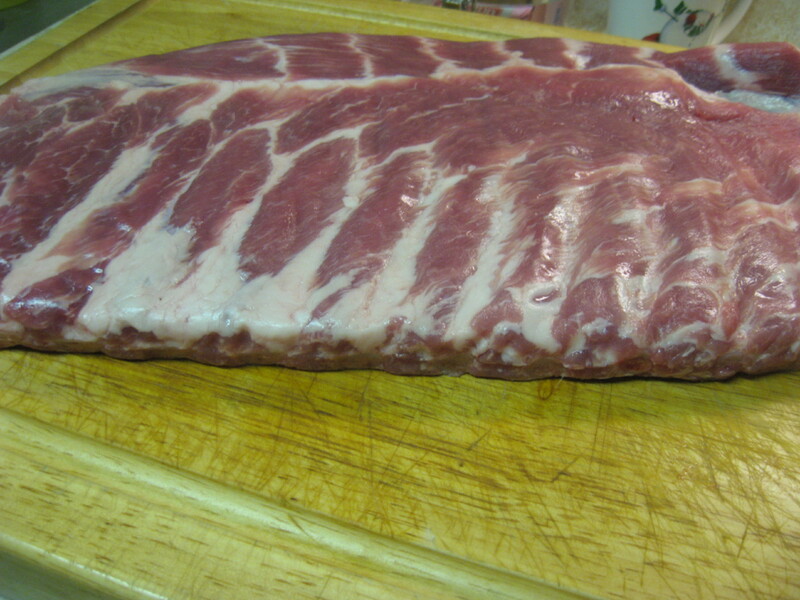 First get the ribs out of the packaging and pat them dry with some paper towels. Then rub them down, both sides, with a couple tablespoons of Canola Oil. I cut the rack of them in half because they are easier to work with that way. 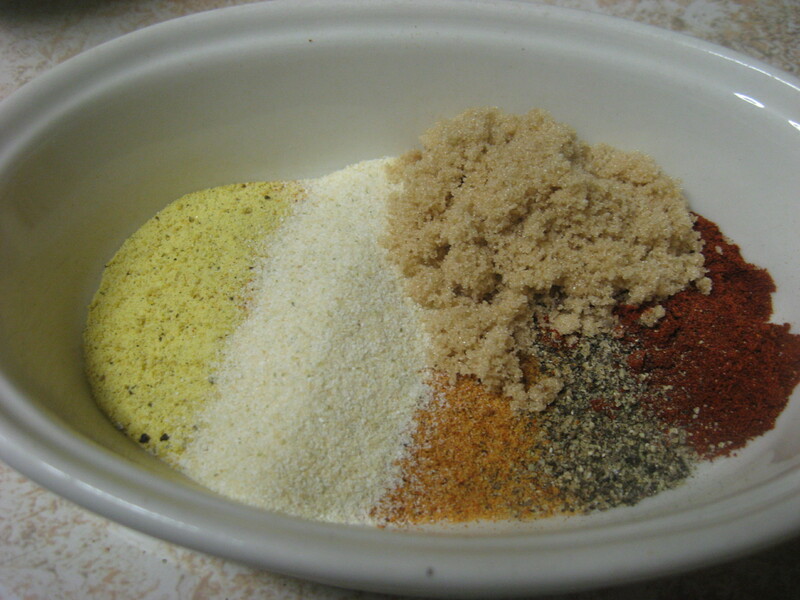 In a bowl, mix up the dry ingredients for the rub. This can vary, and very often does in our house, depending on what you have on hand. I don’t know that I have ever made the same rub twice. This time I used some Lawry’s Seasoned salt, garlic powder, onion powder, smoked paprika, fresh ground black pepper, a smidgen of cayenne pepper, and some brown sugar. Mix together all the dry ingredients, and then rub it all over the ribs, both front, back and sides. 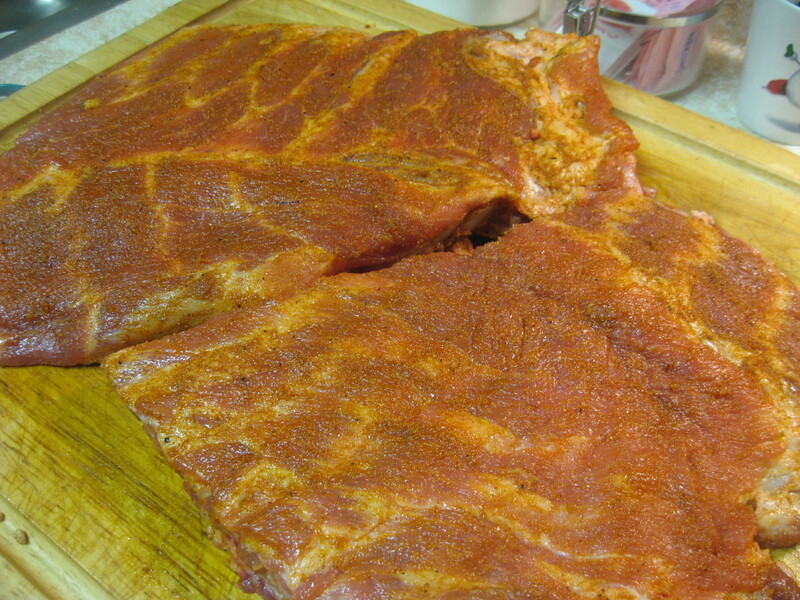 After, place the ribs in a large container – I used aluminum foil – cover and refrigerate overnight. 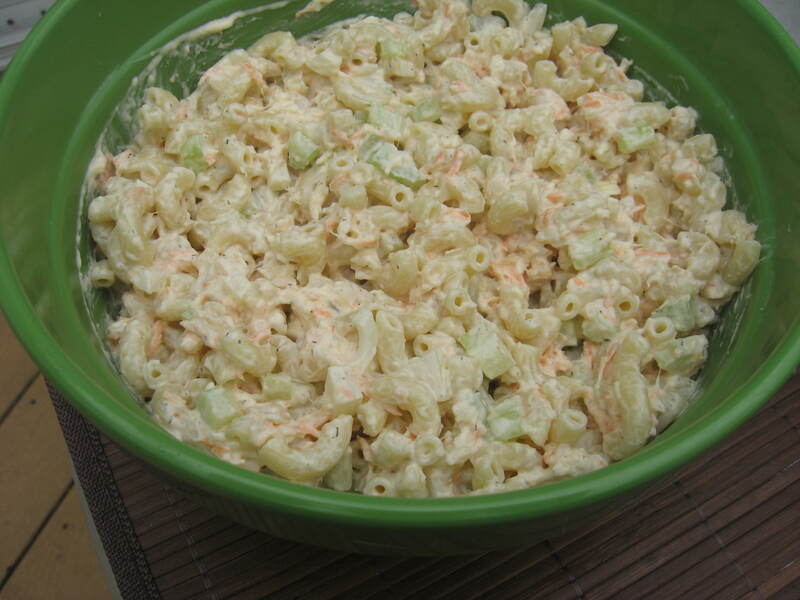 My husband smoked these for about 6 to 8 hours and they came out perfectly tender and juicy. You could barbecue them as well. What I normally do if we are going to barbecue them is to first cover them and allow them to bake in the oven set at 300 for about an hour and a half. Then pull them out and barbecue them until they are nice and browned. They were the perfect fix for his mid winter barbecue craving.